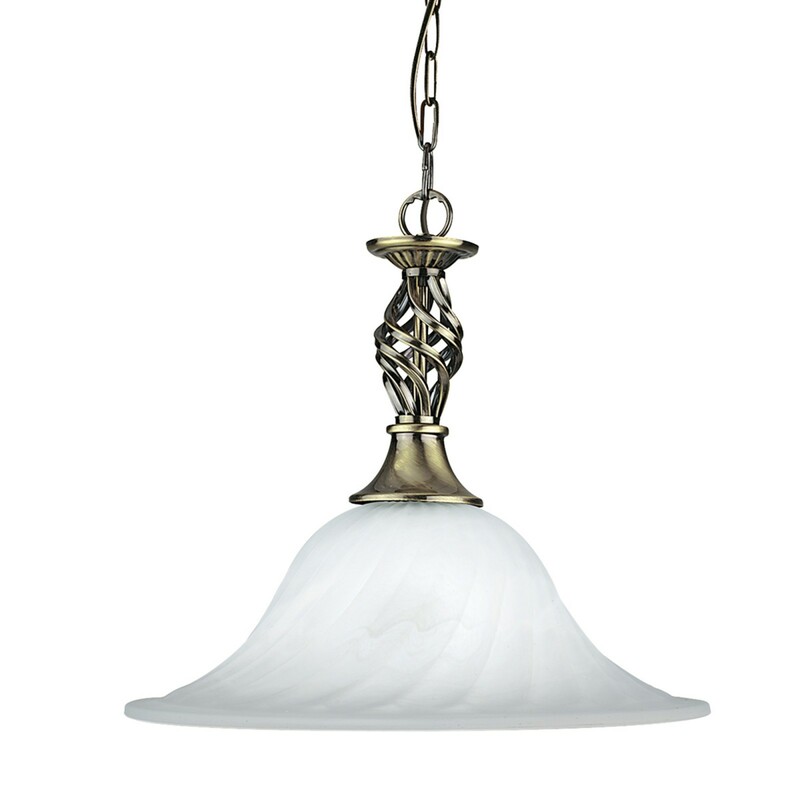 The Cameroon antique brass pendant light with dome-shaped marble glass shade looks elegant hanging from any ceiling in your home. The swirled marble glass diffuser looks beautiful by day and stunning by night. 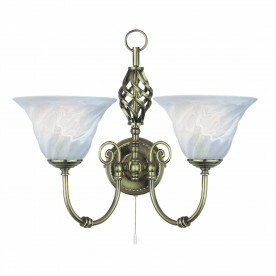 And the fitting is traditionally finished in antique brass with a swirling decorative wrought iron effect central column. 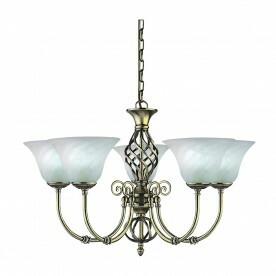 The chain suspension can be adjusted for different ceiling heights.